Many of you are aware of my obsession (here) (here) (here) with fractals, power law distributions, etc. and their role in understanding a variety of phenomena. In this spirit, I recently came across this video on MIT World from the late Benoît B. Mandelbrot. 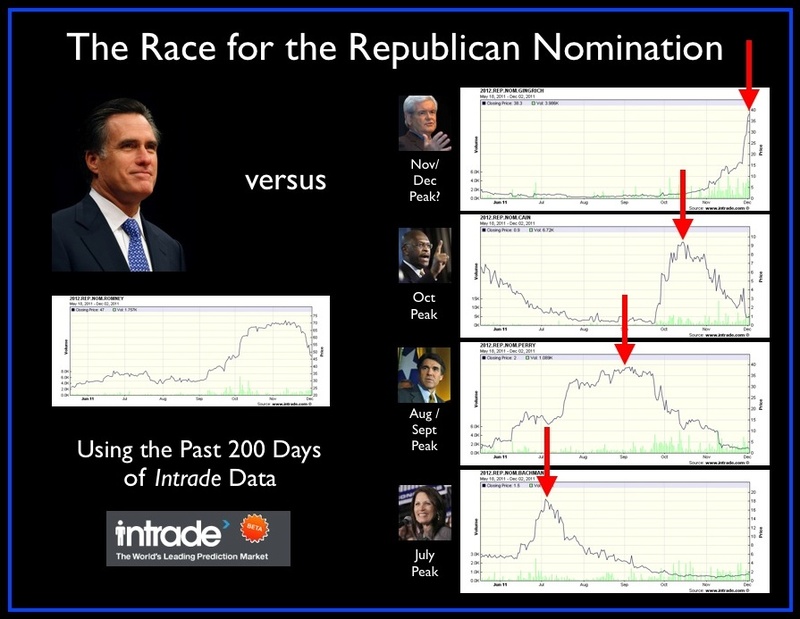 It is well worth the watch – enjoy! This is a sad day for the American Legal Academy. It has been reported (here) (here) (here) that Larry Ribstein has unexpectedly passed away. While I have only known Larry for about a year, we probably exchanged ~100 emails and provided comments on our respective papers. He had been helping me with my “MIT School of Law” paper as well as some of my other projects. I had recently provided commentary on his Wisconsin Law Review article on the Future of General Counsels. This is a very important paper. Larry was one of the few people who really understood what was happening in our industry. 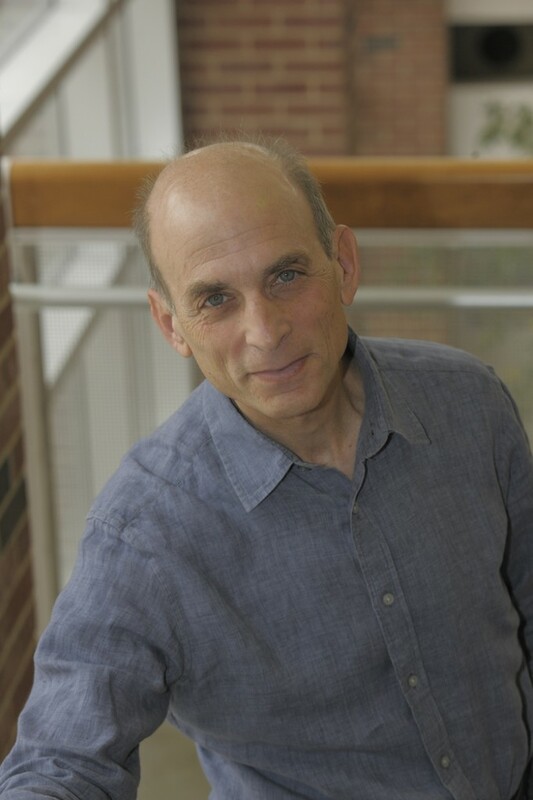 While we did not agree on all subjects (particularly some of his views of corporate law and economic theory) his work on the future of legal education was straight up visionary. Taken together, I believe it will be seen as the template – the sketch of the future of our industry. Larry – I will miss you very much. Author Daniel Martin KatzPosted on December 24, 2011 Tags law schools1 Comment on Larry Ribstein R.I.P. 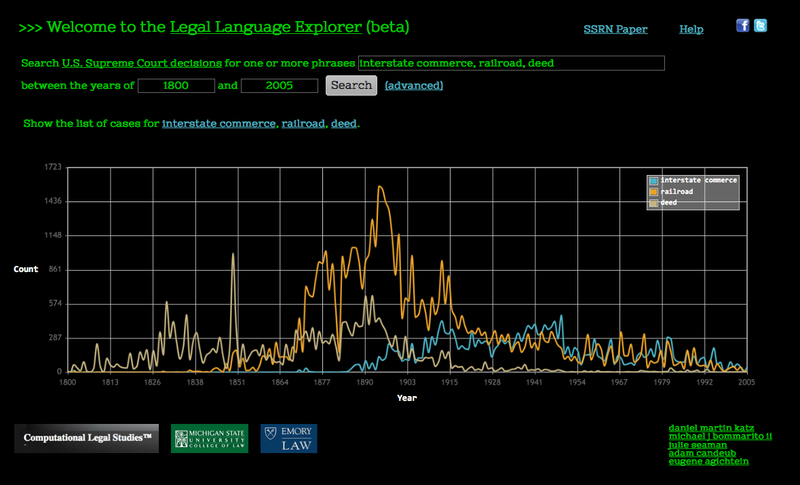 In partnership with Michigan State University College of Law and Emory Law, today we announce the Beta Pre-Release of a New Web Interface – LegalLanguageExplorer.com. We are just getting started here with this project and anticipate many features that will be rolling out to you in the near future. Please feel free to send us your feedback / comments. Instant Return of a Time Series Plot for One or More Comma Separated Phrases. The default search is currently interstate commerce, railroad, deed (with plots for each of the term displayed simultaneously). Feel free to test out ANY phrase of Up to Four Words in length. In the current version, we are offering results for EVERY decision of the United States Supreme Court (1791-2005). We plan to soon expand to other corpora including the U.S. Court of Appeals, etc. Check out the advanced features including normalization and alternative graphing tools. This offers some motivation for the project as well as a Brief Slide Based Tutorial Designed to Highlight Various Functions Available on the Site. 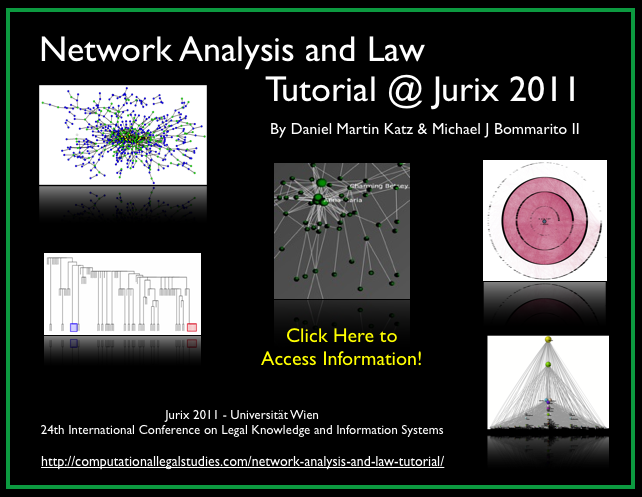 “Prior to the 2011 Jurix Conference on Legal Knowledge and Information Systems, Professor Daniel Martin Katz (Michigan State University, College of Law) and Michael Bommarito (University of Michigan – Center for the Study of Complex Systems) will present a tutorial on Network Analysis and Law.